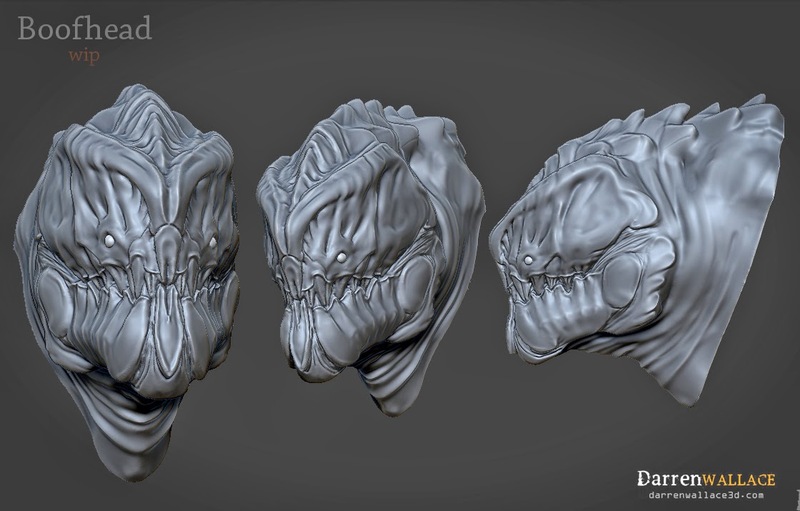 H.R Giger inspired alien concept work in progress. Been too busy to work on any personal projects sadly. Started on this guy a few months ago but haven't touched him since. Not sure if I like it or not. Scrap it or not? open to any suggestions or feedback, cheers. 2.5hrs compressed into 1min. Zbrush lets you save your undo history then play it back into a video. Haven't posted anything in a while. 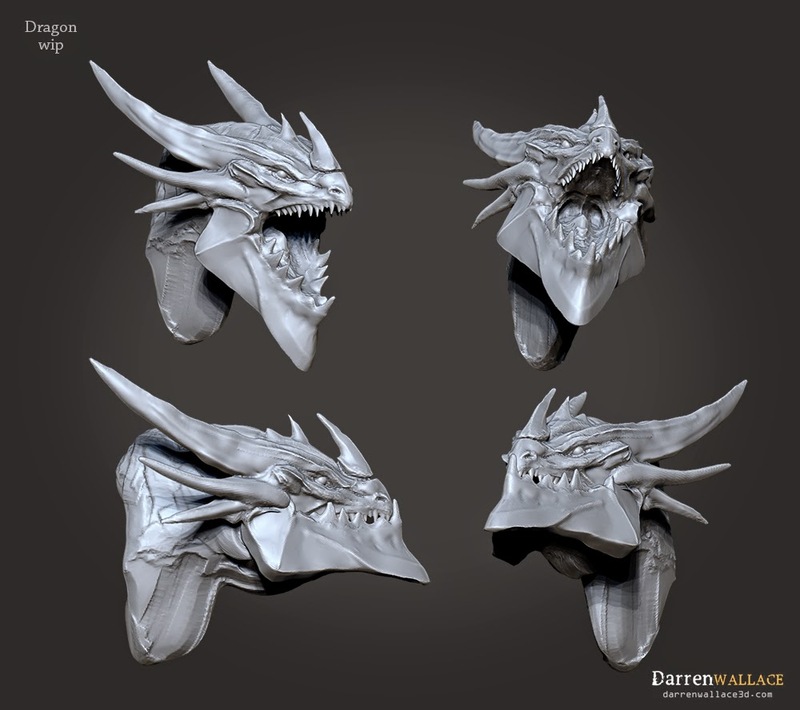 This is the beginnings of a personal/collaborative project involving dragons. This guy is based off a well known game dragon, some people out there might recognize him. Didn't plan on it but this guy is reminding of the Rancor from Star Wars. 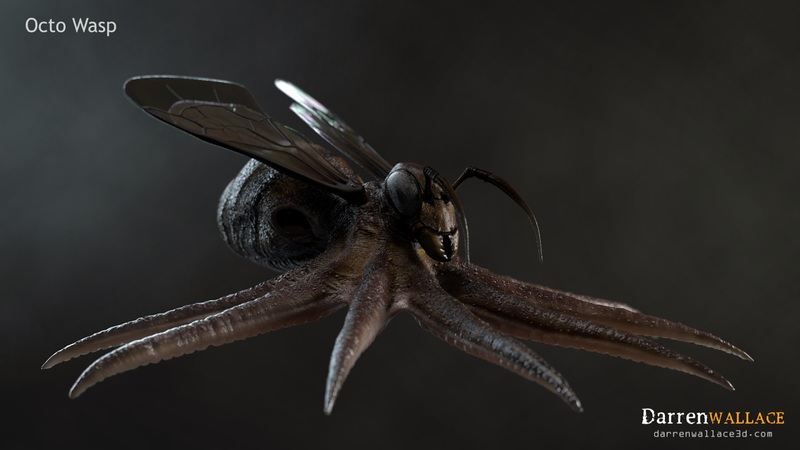 OctoWasp featured in Zbrush gallery! 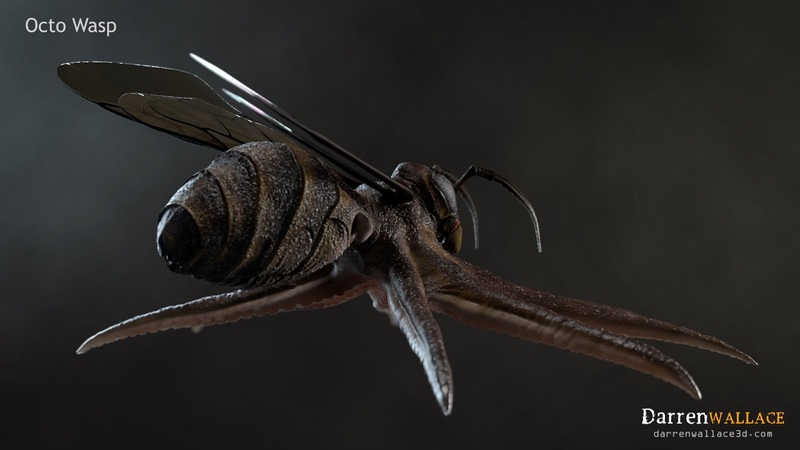 My OctoWasp creation has been chosen to be featured in the zbrush turntable gallery. One hour sculpt of Caesar. 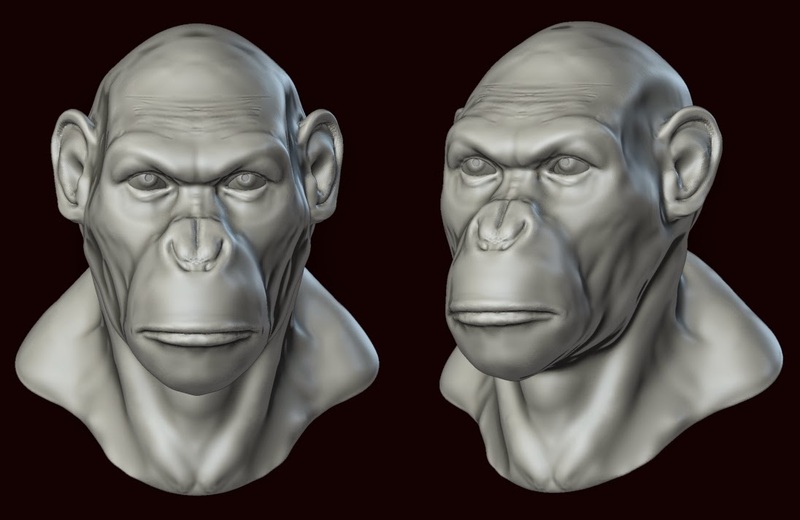 Two hour sculpt of a gorilla head. Was only going to be one hour but I was on a roll. 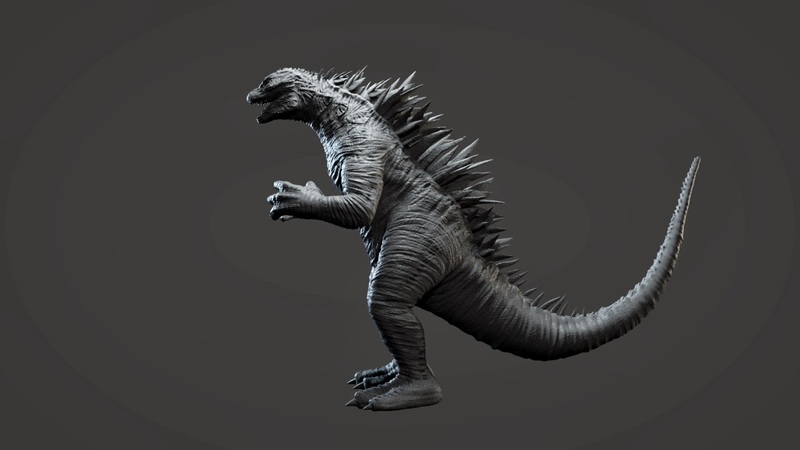 I've needed to produce an "okay" version of Godzilla for a client. When I say okay I mean not to my usual standard. Fast and dirty but just good enough. I based him on on the parts of the older versions I liked and added my own thing. I went from scratch to this stage in about 9 hours, or one days work. I've never pushed my self this hard for time. Winging certain ideas as I went failed and worked but I didn't have time to plan or redo anything. As for the speed vs quality I really surprised my self. I've finished and rendered out a turnaround video.The only big difference from my last update is it now has some fur. I'm pretty happy with him. should look super creepy once animated. I finally got around to setting up the wing materials. As well as being a bumpy transparent material I wanted to get that colourful rainbow high light effect like a lot of insect wings have. But it's only visible when it's reflecting. It was as easy as adding the desired colours into the reflection map. I'm rendering some turnaround videos so here is a few stills from it. I'm yet to setup the wing "bones?". I may also add some body hair / fuzz. 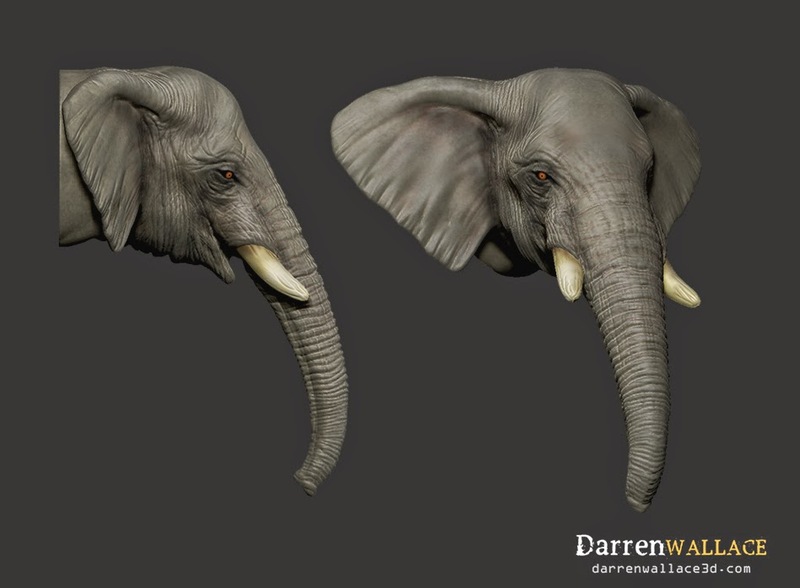 Here are some shader tests done in Maya with Vray. 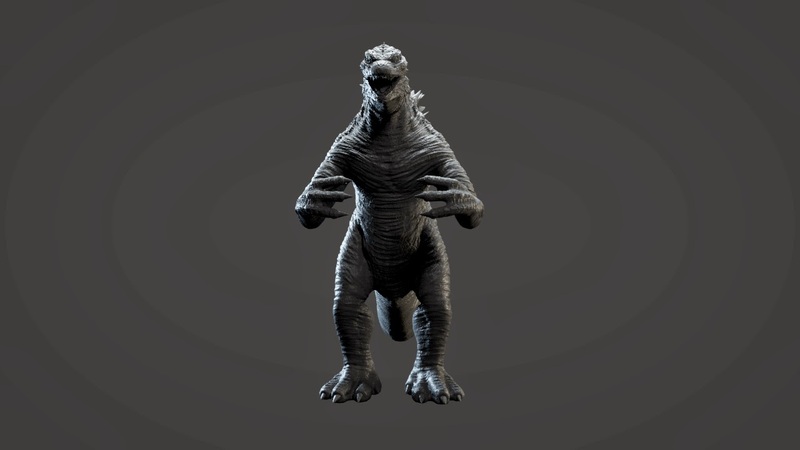 I've never had much success with using the sss2 shader, lack of spec control and normals/bumps looking weak and soft. I'm using a blend/layered material made of two materials. One is shinny wet translucent (SSS2) the other a standard Vray material. I painted a mask in zbrush to blend the two materials as I want them. The sub surface material is strongest under the tentacles / webbing while the "solid" material is strongest on the body and head. 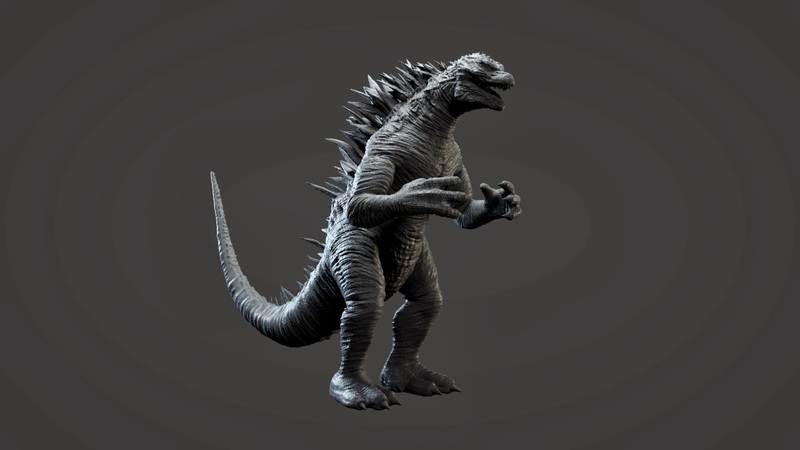 I have textured him. 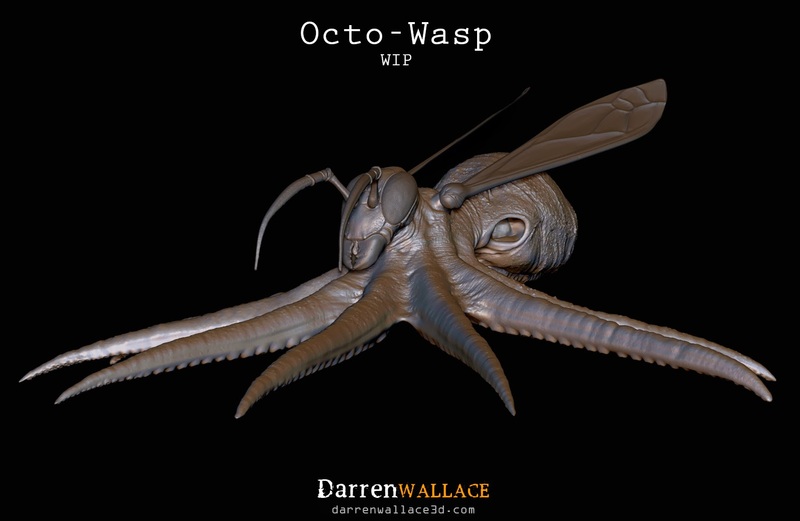 I started with a very contrasting bright yellow and black, copying the classic wasp colour scheme. It really looked silly so I began to introduce a brown/purple colour that washed over and blended the contrasted colours better. I looked at octopus reference photos but they all look so different but what they all seem to have in common is that the colour patterns are very noisy and mixed up. 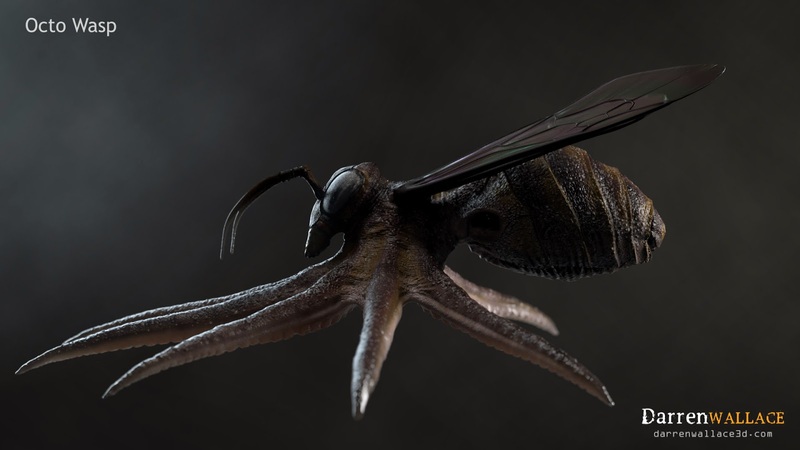 I added white bumps to mimic some reference images I found and it helped blend the overall look from an insect to more of a sea creature but still keeping the yellow black wasp markings. 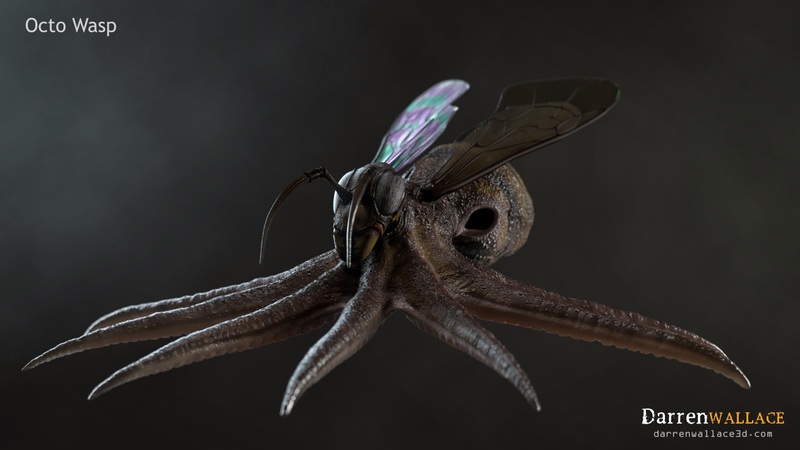 This little freak of nature is the result of a monthly challenge my old university class mates and I take part it. 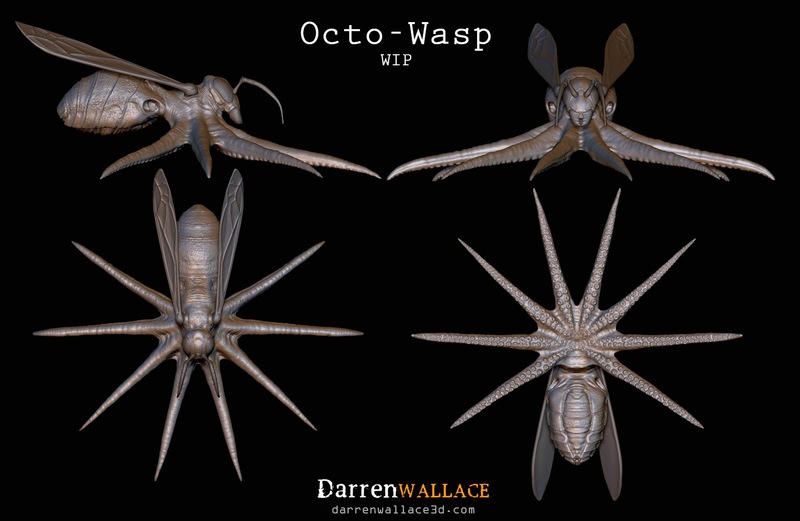 This month we had to mix at least two animals into one and my choice was an octopus and a wasp "Octo-Wasp". 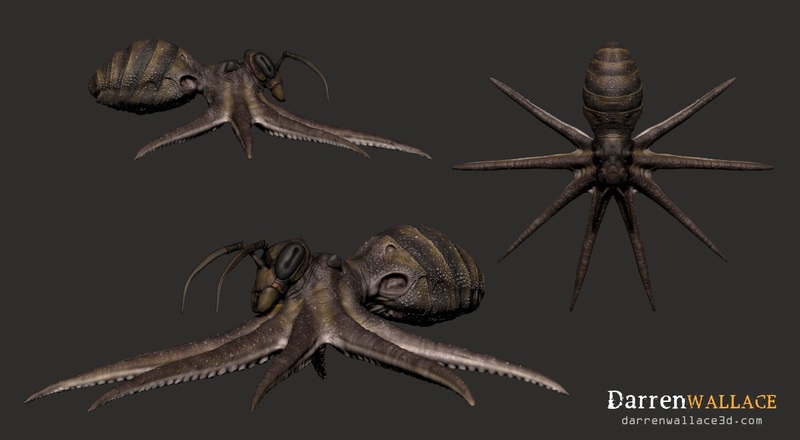 I've wanted to model an octopus for a while so that helped my choice. The wasp half came about as both animals share a big balloon like abdomen so I thought they may be able to mix and share this body part. It's a work in progress but overall I'm really happy with it and a little surprised how easily it came together. I've shown a few people and the general reaction so far is "That's terrifying!" 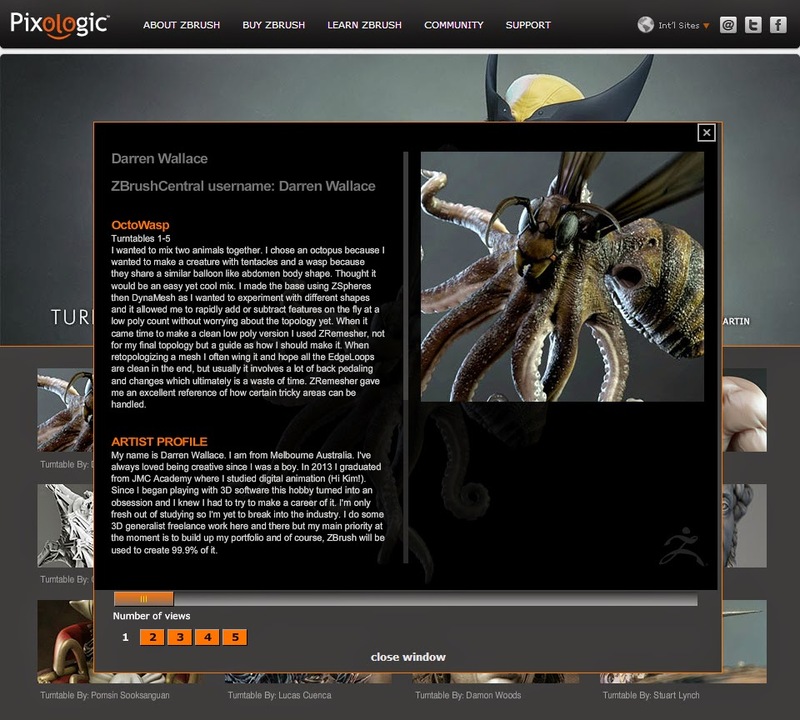 Darren Wallace 2013. Awesome Inc. theme. Powered by Blogger.